The Quarrying and Mining Industry in Ireland is an integral part of the Construction Industry and indeed broader society. Quarry Surveys are an important part of this process but are often time consuming, expensive and fraught with safety concerns. Using our state of the art UAV we can safely and accurately map your quarry site in 3 dimensions within a matter of hours on site and at a lower cost than traditional surveys. 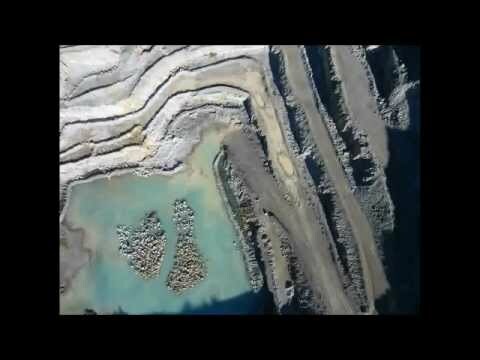 Surveying Quarries and Mines using UAVs is quickly becoming the method of choice for managers and owners around the world due to its cost effective and accurate nature and now this service is available in Ireland. We are actively involved in mapping Quarries currently seeking Substitute Consent under S.261A where required. No matter how big or small your quarry is our maps give planners a high resolution birds eye and 3D view of the quarry and surrounding area. We’ve completed surveys for quarries a few acres in size to large operations up the 100 hectares and above. To see how our systems work click here. Our methods also mean we only require minutes in the active area of your quarry thus greatly reducing any potential risk. ASM Ireland’s surveys are the most comprehensive available solving a variety of problems at once and at significantly lower cost than traditional methods with impressive accuracy. With map resolutions up to 300 times the usual used in the industry the level of detail is incredible. Volume Surveys, of either stockpiles or remaining ground. 3D Visualisations – useful in the planning process (see below). Our advanced surveys are much easier to read than traditional surveys but can be easily converted to look like the normal contour surveys favoured my many in the industry with a high degree of accuracy, information such as quarry layouts or infrastructure maps can be easily digitised from the high resolution aerial survey. We are proud members of the Irish Mining and Quarrying Society. If you want to find out more about how we complete our surveys or you are interested in getting a quotation for your quarry give us a call on the numbers above. Below are a range of videos showing the variety of outputs our surveys can provide and what your could look like in 3D. The first video transitions from a Digital Elevation Model showing different elevations ranges at various colours and to full photo realistic 3D Model and then to a contour map.